I try to be thoughtful as I consume various media (TV, books, movies…if I can stay awake through one, magazines…whatever), I try to take note of those I find particularly meaningful or poignant to me. So I’m introducing a new section which I’ll call “They Said It Better” and will feature cited quotes I think explain, define, describe, or clarify some of the many topics that will unfold in the time to come. 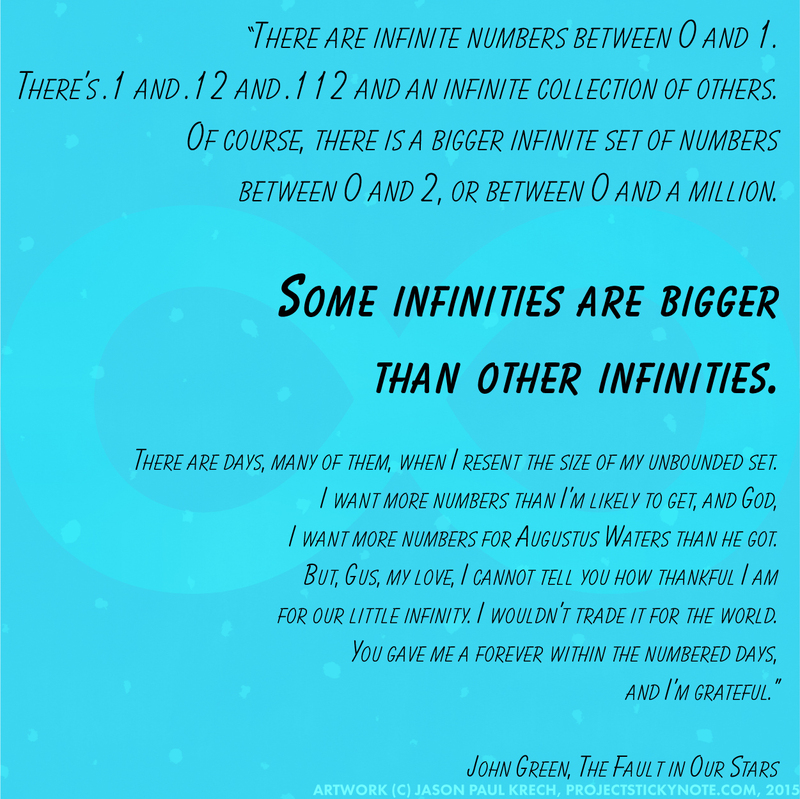 So here’s our first one, covering the nature of infinity from the book (and movie) The Fault In Our Stars (Book by John Green). The minute I heard this said in the movie, I was gob smacked. Rereading it today, equally so.